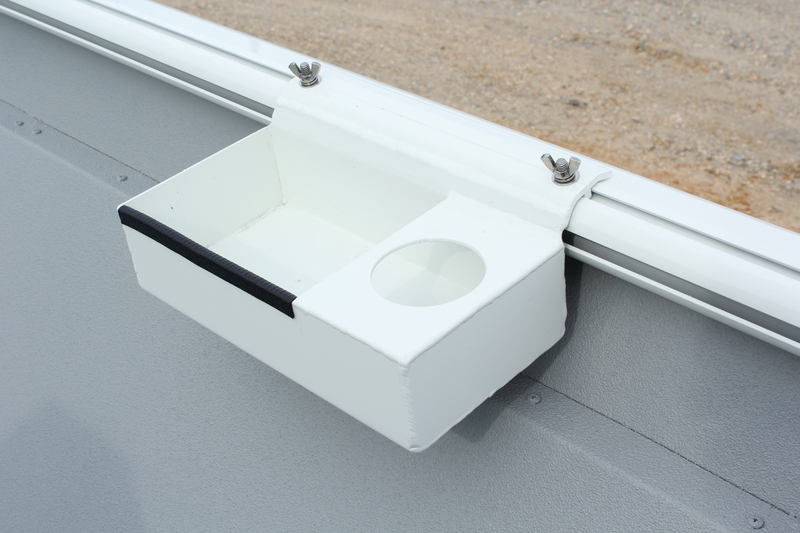 The accessory box features a storage area for hooks, weights, and other miscellaneous items. It also features a cup holder to fit cans or cups. Mountable anywhere on the caprail.